After feasting on delicious food at Tsukiji, we recommend stopping by at Hama-rikyu Onshi Teien. 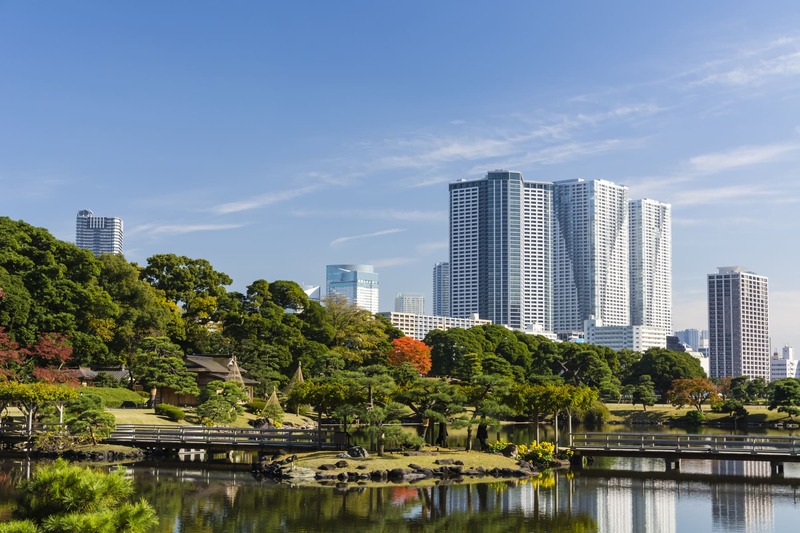 Hama-rikyu Gardens is a 200-year-old Japanese garden that’s sandwiched between modern sky-scrapers and Tokyo Bay. 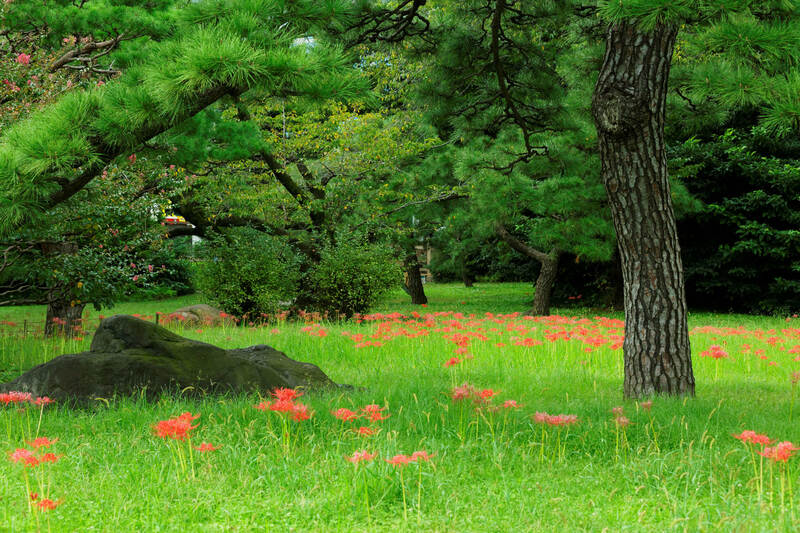 It’s a perfect place for flora enthusiasts with seasonal flowers blooming each season. If you want to visit, they offer English-guided tours on Saturdays and Mondays. Seeking other destinations near Tsukiji? Check out “3Places in Tokyo to Go when you come to Tsukiji Market”! Hama-rikyu Gardens used to be the Edo-era shogun’s hunting grounds and is now a popular stop among Tsukiji visitors. 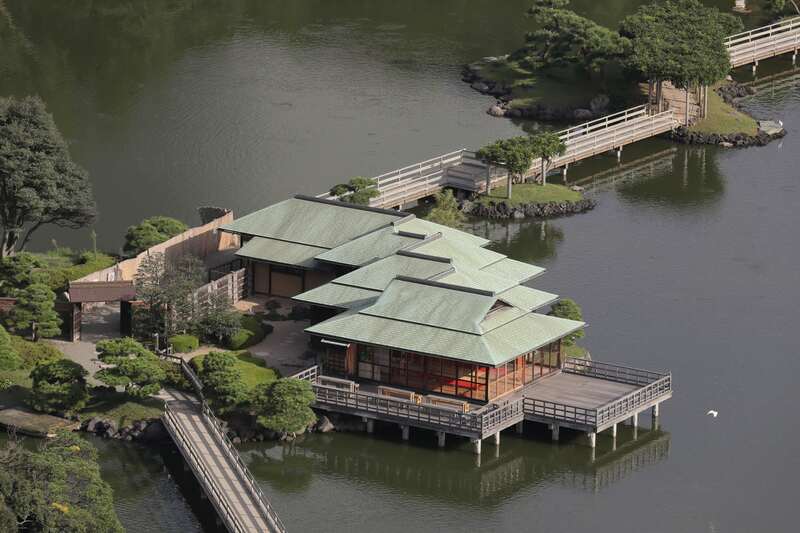 The gardens were established over 350 years ago during the Edo period – the shogun at the time created a land-fill and built a villa on top. Eventually, the imperial family inherited the grounds before Tokyo prefecture claimed the land about 70 years ago; it was at this time that the gardens were opened to the public. Hama-rikyu Gardens is uniquely located between Tokyo Bay and a cluster of ultra-modern sky-scrapers and shelters a saltwater pond drawing sea water from Tokyo Bay. 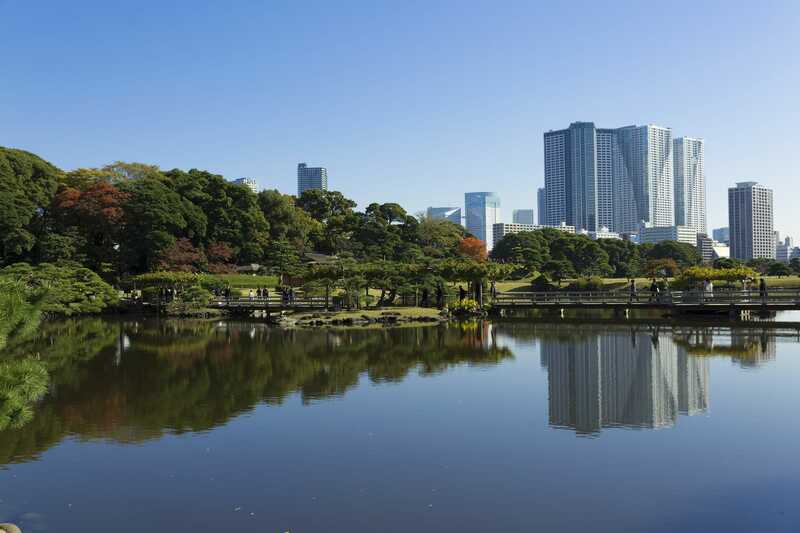 Hama-rikyu Gardens is divided into two sections: the North and South Gardens. The South Garden shelters saltwater and duck-hunting ponds; the North Garden houses a traditional Japanese garden built in the Meiji period. The gardens are a great place to study Japanese flora – Black Pine, Crape Myrtle, Japanese Maple, Zelkova, and Plum trees are planted across the grounds. Flowers are abundant too with wisterias blooming during spring, bellflowers during summer, red spider lilies during fall, and plum trees during winter. The duck-hunting grounds located in the South Garden of Hama-rikyu Gardens are a rare sight in Japan. These grounds were built in the late 1700’s and was frequented by the Tokugawa Shogun. Also located in the South Garden is the saltwater pond, which transforms with the rise and fall of the tide. Once you’ve walked the grounds, stop by the tea house perched on the pond for a rest. Here, you can taste matcha sets that pair matcha tea with seasonal unbaked or steamed sweets. The unbaked sweets are traditional sweets that are typically served in a tea ceremony setting.